Let's just get right down to business. How freaking fabulous is this ombre scarf by The Posh'mina?! I haven't seen a scarf like this, anywhere, really. I've been so excited to share it with y'all and today's (super) Casual Friday allowed me to rock it. The color is absolutely beautiful and get this: the scarf has slots so you can loop one end through one of the slots and make a perfect cowl neck that stays all day. What more could you ask for, you say? Oh, just the fact that this is a Detroit-based business created by a group of fantastic women. Beautiful scarf! I love adding a pop of color to an outfit with a lovely scarf. Entire outfit looks great...as usual. You rock, girl and thanks for the scarf info! I love the loops! Thanks for sharing. You look fantastic in those boots - and I adore the brightness of your scarf! That scarf: AMAZING. I rarely buy items showcased on blogs but I need that scarf in my life. It really does look like the perfect scarf. I'm not sure I get all the ways that you can wear the thing (future blog post perhaps??) but it looks great. I didn't see the color you have on the site. Th scarf is amazing, the color is beautiful! i like your boots a lot!!! Love the mocha one from them!! Excellent one you're wearing as well. love the scarf!! I just recently bought a pair of rider boots like yours and find that they go with everything!! You look great!! 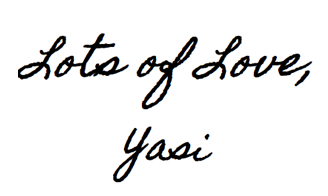 Hey Yasi! I just found your blog and I'm totally in love. I enjoy dressing up and looking cute but have such a hard time "seeing it". Question: I wanted to send you an email but when I followed the link on your connect page it brought me to an empty page. Is there another way I can email you? These scarves are beautiful but very functional, love the slots. Very ingenious! Hi Yasi!! I just have to tell you I am very inspired by your style!! I even went so far as to buy the same Etienne Aigner riding boots! And I haven't worn anything else since I bought them! Next on my radar is the Posh'mina, it's in my shopping cart as we speak. Love your style, keep the pics coming!! 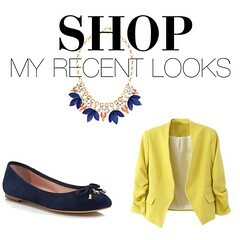 I look everyday for a new post of your outfits!